The ReNEW Schools charter-school network in New Orleans had a generous solution for its students without Internet access at their houses — take-home laptops equipped with a wireless broadband connection. However, school leaders pulled the plug on the expensive benefit when the federal program that finances school technology delayed a decision over whether such expenditures should be reimbursed — a decision that could affect schools nationwide. A survey during the 2011-12 school year showed only 25 percent to 30 percent of their students had Internet in their homes, Hudson says. ReNEW purchased about 800 broadband netbooks for the roughly 2,400 students enrolled in the network’s five schools. 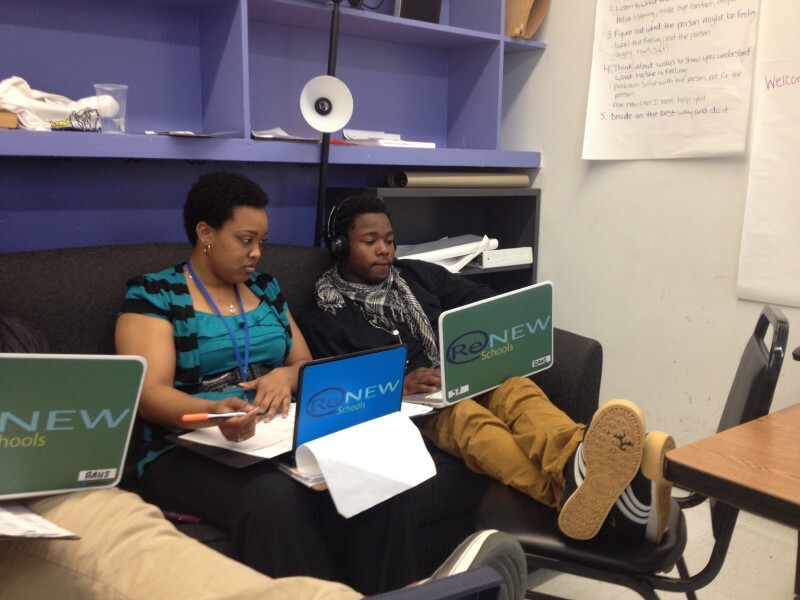 The netbooks let students complete assignments or receive extra academic support. The schools also used the netbooks to target particular groups of students that may need an extra boost, such as those whose first language is not English. ReNEW is still awaiting a determination from the Federal Communications Commission’s E-rate program on whether they’ll be reimbursed for most of the broadband costs, ReNEW President and Chief Operating Officer Kevin Guitterrez said. Without that money, the school canceled the Internet service in the computers after the 2012-13 school year, though they still provide some students with computers to take home. Only 60 percent of New Orleans residents have access to Internet in their homes, compared to 74 percent nationally, according to a U.S. Census survey. The federal program is designed to help schools with high populations of low-income students pay for telecommunication services. Many schools in New Orleans qualify for up to 90 percent reimbursement of their building’s phone and Internet services, as well as some network upgrades. But devices such as laptops or phones are not eligible expenditures. The FCC voted in December to increase the phone tax that finances the E-rate program, boosting its income from $2.4 billion to $3.9 billion, with the goal of focusing on high-speed Internet and Wi-Fi within school buildings. The program is being modernized — it no longer pays for pager services, for example — but whether to fund school-paid Internet access at home hasn’t been decided, spokesman Mark Wigfield said. “We’re still at stalemate with E-rate as far as the mobile hotspot,” Guitterrez said. ReNEW budgeted $755,000 in E-rate funding for the 2012-13 school year, but so far, it’s only gotten $91,939. Despite only receiving a fraction of the anticipated reimbursement, there is no cost to the network. Its service provider, Sprint, absorbs the cost of those services, under an agreement Sprint and ReNew signed. While on the phone with The Lens recently, Guitterrez opened an email chain of inquiries into the network’s claim that dates back to July 2013. He says he regularly asks for progress updates and is simply told the claim is being processed. “That seems to be the case with a bunch of other districts across the country,” Guitterrez said. That’s according to his network’s E-rate consultant, he added. The FCC is reviewing ReNEW’s 2012-13 claim for “cost effectiveness,” Guitterrez said. “We really need E-rate to make a decision on this,” he said Wednesday. The network can’t receive any E-rate funding until the cost-effective review is complete — meaning they received nothing last year and didn’t budget for it in the current year. Students in New Orleans are less likely to have Internet access than their peers nationwide. According to 2013 American Community Survey data released by the U.S. Census Bureau, about 60 percent of Orleans Parish respondents had access to some type of Internet in their homes, compared to 74 percent nationally. Related: What to do for kids with no Internet at home? How about parking a wifi-enabled school bus near their trailer park? While they wait for an E-rate decision, ReNEW leaders are helping students get connected at home through other means. The network invited Cox Communications representatives to parent nights to help people take advantage of Internet discounts available to low-income families. Cox didn’t respond to a request about how many customers in the area use those discounts. The effort has come with some challenges, said Maurice McMorris, an assistant school leader at ReNew Accelerated High School. “We found out the process with Cox is a winding road,” he said. For students to qualify, he said, they must not have had Internet in home in the past 90 days and must qualify for free and reduced lunch — a marker of family income. At his campus, which enrolls about 300 students, the school has 50 Chromebooks it can send home with students, though without the broadband. The campus generally enrolls students who are a year or two behind in high school and offers flexible class times to help students maintain jobs or ease childcare concerns. The take-home laptops offer even more leeway and opportunity for students to get their work done at their own pace. McMorris helps monitor activity on the devices. He can tell when a student is not using the laptop and he’ll ask whether they are actually working on assignments. “Wait a minute, I lost Internet access” at home, is a response he said he’s heard more than once. China Mohamed, 17, said the Chromebook has been helpful for her. She does have a computer and Internet access at home — but she shares it with four other teenagers. “So it was helpful for me when I couldn’t get on the family (computer) at home,” she said. “I actually finished a class today” using the laptop to work on material at home and at school, she said when The Lens visited the school last month. The FCC continues to modernize its E-rate funding formula, with an increased focus on Wi-Fi access and robust broadband connections for schools and libraries. At a December meeting, Wigfield said commissioners only briefly touched on Internet access in the home, but that they’re aware of the issue. “I honestly believe that broadband is the greatest equalizer of our time, but this only holds true if everyone has access,” Commissioner Mignon Clyburn wrote in a statement. The commission was considering an order to help expand Wi-Fi. This story was produced by The Hechinger Report, a nonprofit, independent news organization focused on inequality and innovation in education, and The Lens, an investigative online newsroom covering New Orleans and the Gulf Coast.